Everything was good. Apartment, kids club, swimming pools, near the beach. Lock in a great price for Sofitel Dubai Palm Apartments – rated 8.9 by recent guests! Sofitel Dubai Palm Apartments This rating is a reflection of how the property compares to the industry standard when it comes to price, facilities and services available. It's based on a self-evaluation by the property. Use this rating to help choose your stay! 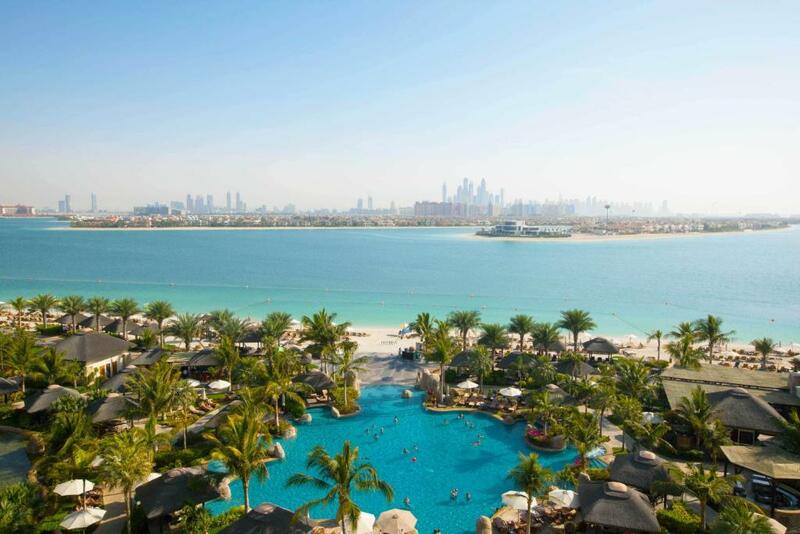 One of our top picks in Dubai.Located on the iconic Palm Jumeirah, Sofitel Dubai Palm Apartments is a Polynesian Island feel resort. It features free Wi-Fi, 8 restaurants and 7 bars. It also offers a private beach, 5 pools and Amura kid’s club. 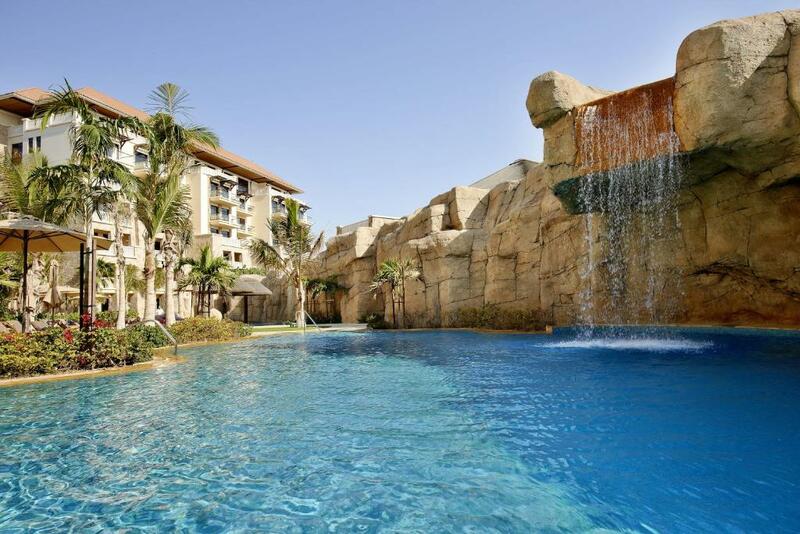 All 182 serviced apartments at Sofitel overlook the sea, the palm or the resort. Each one offers a flat-screen TV, a kitchenette and coffee and tea amenities. It also comes with a washing machine and a Bose station. Guests can savor the various cuisines at Sofitel from International, French to Asian and Italian delicacies. Porter House offers succulent steaks and grills while Maui Beach serves cocktails by the beachside. The So Spa offers 28 treatments rooms, seawater pool, sauna and French beauty treatments including massages. The So Fit is a high-tech gym equipped with the state -of -the- art cardio machines. For adventurous activities, guests have access to a boat jetty and a tennis court. 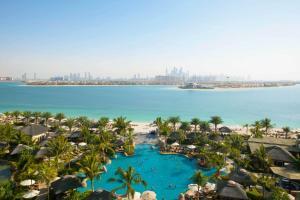 The Atlantis Aqua venture Aquapark is 2,300 feet from Sofitel Dubai The Palm Resort & Spa. Burj Khalifa and the Dubai Mall are 20 minutes’ drive away. Dubai International Airport is a 35-minute drive. 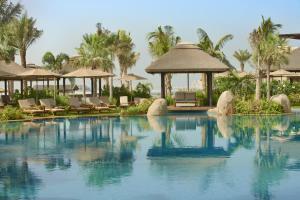 When would you like to stay at Sofitel Dubai Palm Apartments? This apartment is decorated in turquoise colors reflecting the Polynesian Resort theme. It offers free Wi-Fi, 2 rooms, a living room with a dining area and a fully equipped kitchen. Facilities include 2 flat-screen TVs, a washing machine and a telephone. It has 2 bathrooms, each is fitted with a shower and Lanvin bath amenities. Featuring a sea view, this apartment is decorated in turquoise colors. It offers free Wi-Fi, 2 rooms, a living room with a dining area and a fully equipped kitchen. Facilities include 2 flat-screen TVs, a washing machine and a telephone. It has 2 bathrooms, each is fitted with a shower and Lanvin bath amenities. Featuring stunning sea views, this apartment is decorated in turquoise colors. It offers free Wi-Fi, 2 rooms, a living room with a dining area and a fully equipped kitchen. Facilities include 2 flat-screen TVs, a washing machine and a telephone. It has 2 bathrooms, each is fitted with a shower and Lanvin bath amenities. This apartment is decorated in turquoise colors reflecting the Polynesian Resort theme. It offers free Wi-Fi, a living room with a dining area and a fully equipped kitchen. Facilities include a flat-screen TV, a washing machine and a telephone. The bathroom is fitted with a shower and Lanvin bath amenities. Enjoy airy indoor spaces evoke relaxed island living, with high ceilings, flowing water and floods of light through large windows and balconies. Materials are natural: smooth wood, marble, leather and suede. 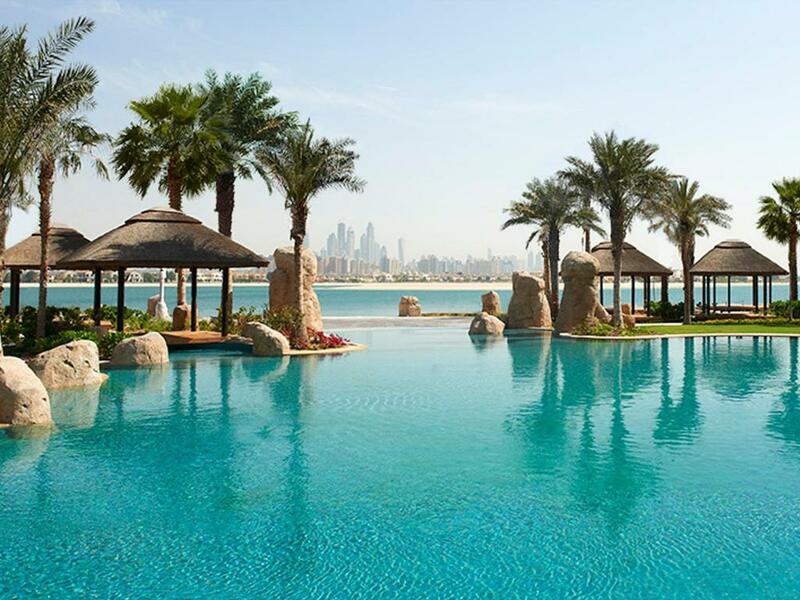 Stretching over a private sandy beach on Palm Jumeirah, Sofitel Dubai The Palm exudes calm and tropical allure. Water, light and greenery abound amid the organic, low-rise architecture. The pulsating city of Dubai is a unique blend of East and West, the ancient and the modern, along with timeless deserts and golden beaches. 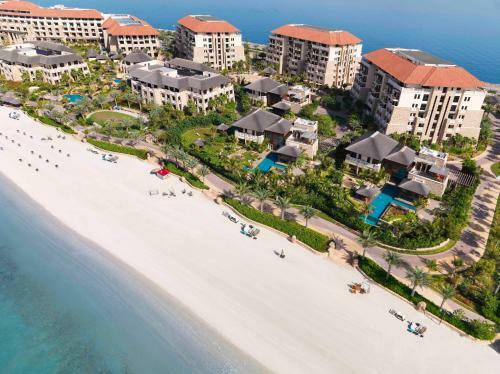 Sofitel The Palm Dubai is located on the East Crescent of the iconic Palm Jumeirah, the world’s largest man-made island shaped in the form of a palm tree. A cozy retreat from Dubai’s urban cityscape, just 35 minutes’ drive from Dubai International Airport and a few minutes from Dubai’s main business areas Media/Internet City and leisure areas Jumeirah Beach Residences and Dubai Marina. House Rules Sofitel Dubai Palm Apartments takes special requests – add in the next step! Sofitel Dubai Palm Apartments accepts these cards and reserves the right to temporarily hold an amount prior to arrival. Please note that we accept all major credit cards at the resort. For all bookings that require a deposit, a secure link will be sent by the hotel reservations team for credit card payments. Visa and Mastercard payments are accepted through the secure link and in case of payment with Amex card, please contact the hotel directly. Bookings may be canceled in case of non-payments. For all flexible and semi-flexible bookings that do not require an advance deposit, the credit/debit card may be authorized by the hotel any time prior to arrival. In the event of cancelations or no show, the card will be charged based on the cancelation policy mentioned in your booking. Please inform Sofitel Dubai Palm Apartments of your expected arrival time in advance. You can use the Special Requests box when booking, or contact the property directly using the contact details in your confirmation. The hotel is dated now and shabby around the edges. The pool areas are too over crowded, didnt use the pool once! Impossible to swim in the sea because of jelly fish and others. Too many rules and limitations were to go and what to do. Beach is closed at night. You are even not allowed to walk on the beach after sundown. The location, territory, view, swimming pools and rooms were all perfect. Perfect for families. Prices in the resort are on the high end, but justified by the fact that restaurants and other facilities always hit the mark. Location on the palm means going somewhere takes about half an hour by taxi. Staff did their utmost to make our time in the resort very pleasant. They were very friendly and accommodated any request within a whim. Great variety of pools including a lot of facilities for children, great variety of restaurants, very nice spa and salons. Good staff, very helpful, good vibes, good food, very responsive, well managed, kept clean and maintained. What wasn't so great was the final costs. We spent over 4000 euro in those two days and we ended up paying double the amount prognosed of the room booking. All the hotel restaurants are outrageously expensive, we had my birthday dinner in the steakhouse with 9 people only one course each and 2 people had 1 glass of wine the rest was soft drinks and the bill was over 400 euro! Coffee and cake was good for another 100 euro after that. 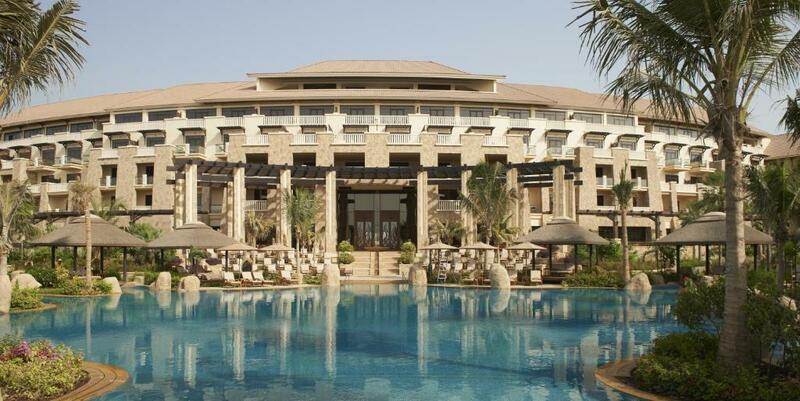 An absolute great place to stay, but compared to other hotels where we stayed during our 6 week stay in Dubai the Sofitel was the most expensive and honestly the quality of the food simply doesn't justify the high pricing. It was absolutely amazing here at the Sofitel apartments. We booked in for 2 days to celebrate my birthday and we had a great time. We were also upgraded to a 2 bedroom apartment which was a wonderful surprise. The staff made a big fuss out of my birthday and I got a birthday cake with candles and presents which was very sweet. Everything was really outstanding - service, food, flexibility, facilities etc. We had a fantastic vacation with Sofitel. Good breakfast buffet with broad selection for everyone. Very kind personnel and great coffee :) Check-in was smooth and the bell persons were always very helpful. Special thanks to Naveed Hussain who made sure the room was clean in tidy every day. Highly recommendable Hotel for families with children and good variety of pools and nice beach to spend the day under the sun.